Palm Beach 405 Barbados. 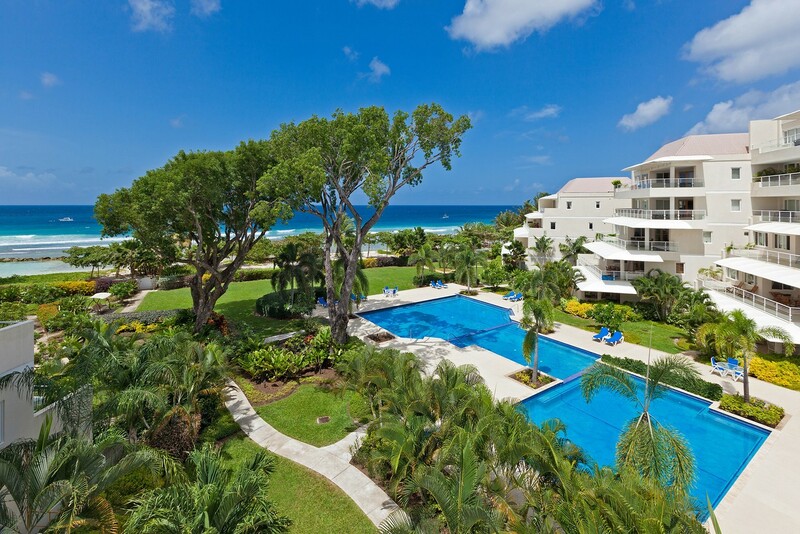 As its name describes, Villa Palm Beach 405 is situated on the white sands of the beach in the Christ Church area of Barbados. 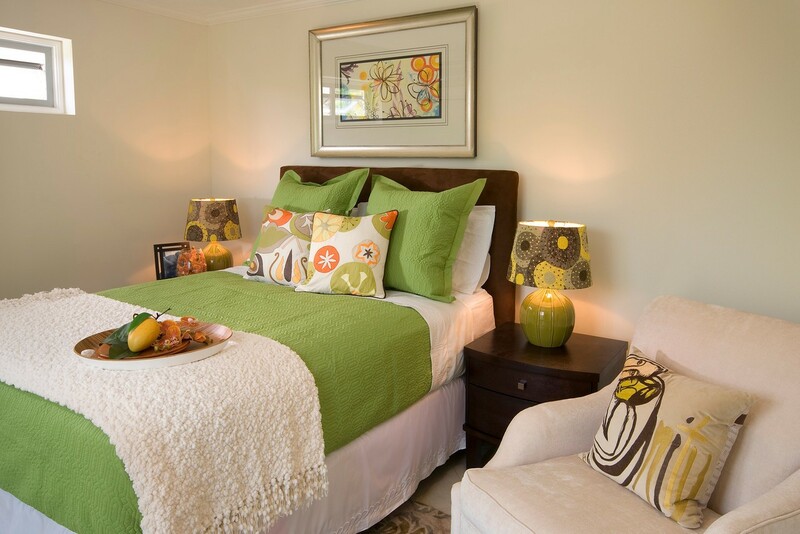 A two-bedroom villa, it is nonetheless, spacious, amenities-rich and packed with style and charm. From the outside of the building, you can anticipate the upscale interior of the villas. With their terraces and larger than average spaces, they are ideal for those who want an accommodation that is equal parts retreat and private home. And in addition to premium villas, this large property boasts many features, which include the enormous swimming pool and terrace, a modern fitness center and direct access to the beachfront putting you in the popular South Coast without any need for a car. This villa will win you over from your first sight of it. 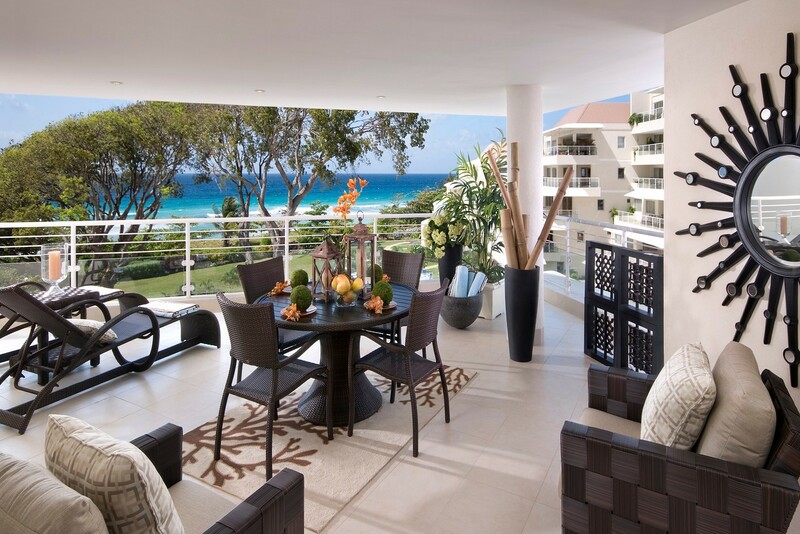 It features a large and impressively decorated terrace that looks out over the sea and the pool area. Dine "al fresco" from this area, lounge in the sun or shade, and sit in your casual living room while savoring the sea breezes and the beautiful scenery. Step inside and you can continue to take in the views as this living room faces the ocean and has oversized windows to really capture the fresh air. The great room houses a formal dining room, living room, and the impressively appointed kitchen. The bedrooms are both a match to the luxury and beauty of the shared living spaces, with oversized furniture, king beds, and terrace access or a view, and enormous en suite bathrooms with luxury fixtures. 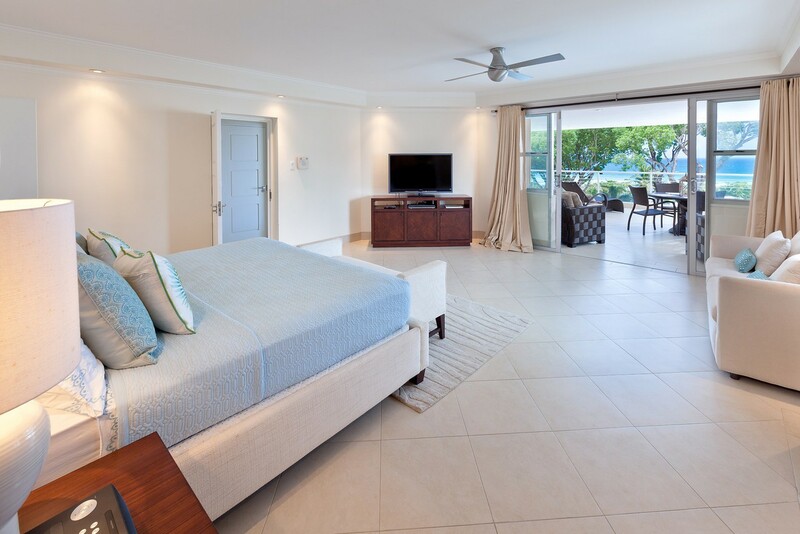 Villa Palm Beach 405 is the perfect place for friends to escape to the Caribbean. Close to the busy shops, restaurants and clubs that draw many to the area, it is a world all its own and provides you with a host of amenities, services and features that make it a perfect blend of resort and privacy. A short 10 minutes drive to St. Lawrence Gap. Palm Beach 405 is offering 10% off for travel between April 15, 2019 and June 30, 2019. 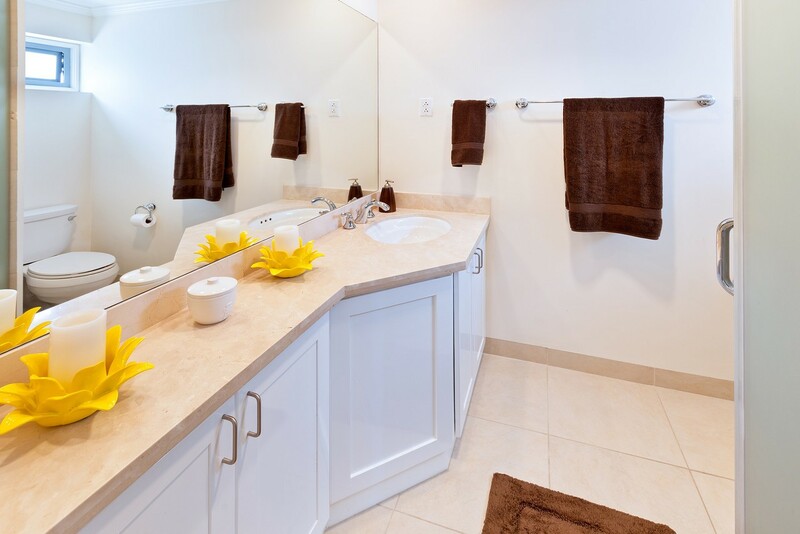 Please note that stays over Crop Over week are subject to a weekly rate of $2,765.00 on the 2 bedroom rate for stays between July 29, 2019 and August 12, 2019. Please note that stays over Crop Over week are subject to a weekly rate of $2,765.00 on the 2 bedroom rate for stays between July 27, 2020 and August 10, 2020. I have been a frequent visitor to Barbados for many, many years, since 1978. I have stayed in different accommodations from Maxwell up to the far west coast of St. James. From run of the mill to luxury accommodations. I have seen many changes in the landscape of Barbados. 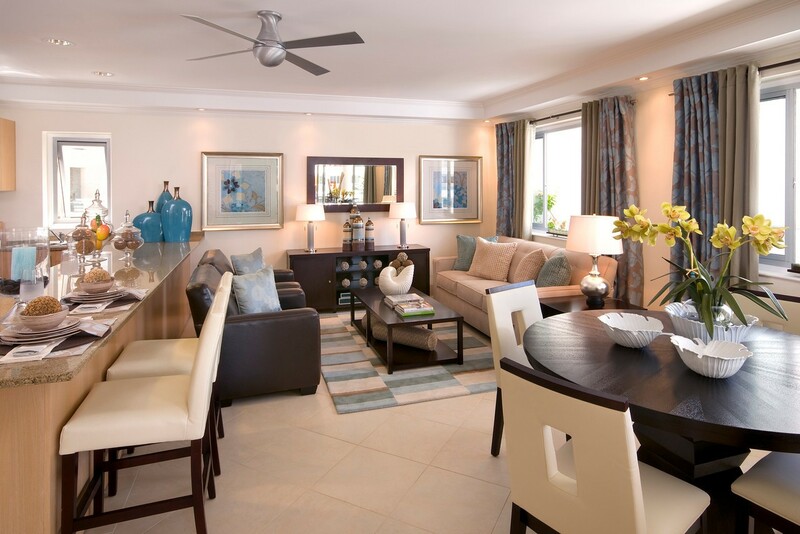 This Palm Beach Condo has been one of the best units that I have stayed in during my many visits. 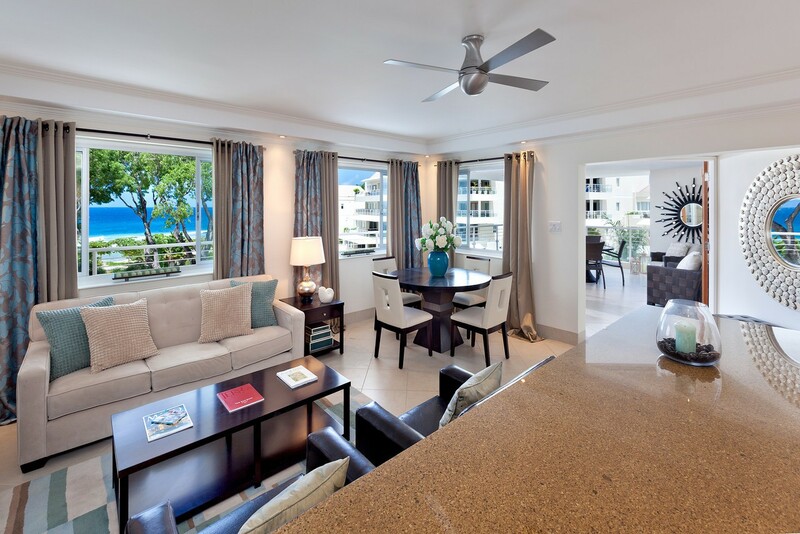 The unit is laid out very nicely with views focused on the spacious balcony and the grounds and ocean beyond. 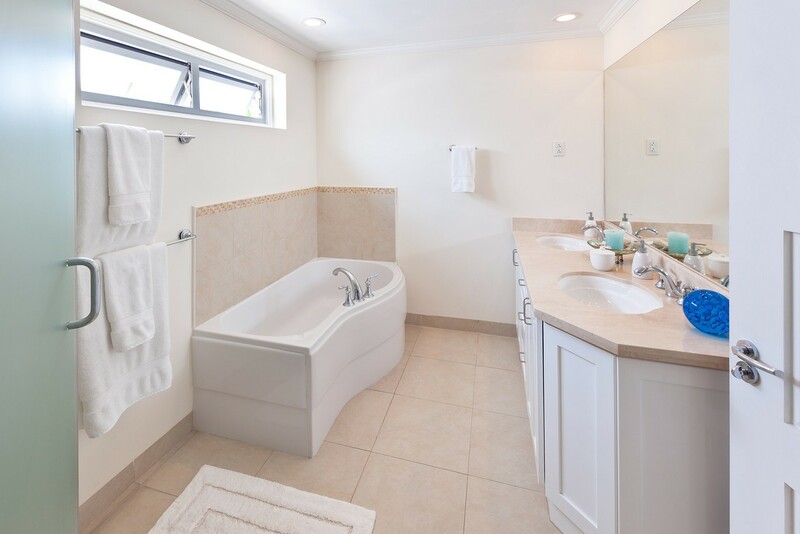 With nice sized bedrooms and ensuite baths, it is just a great unit. 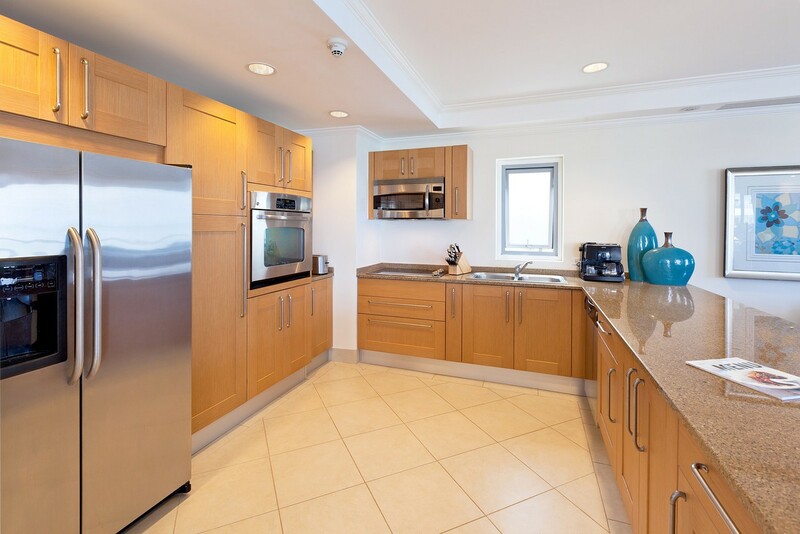 The kitchen is one of the best for size and accoutrements, all well made and name brand items. The views from the balcony/lanai are excellent and very relaxing. You can hear the waves lapping on the beach below and yet isolated from the traffic on the Highway up the hill. The views of the grounds and the very large swimming pool are very relaxing from the balcony. 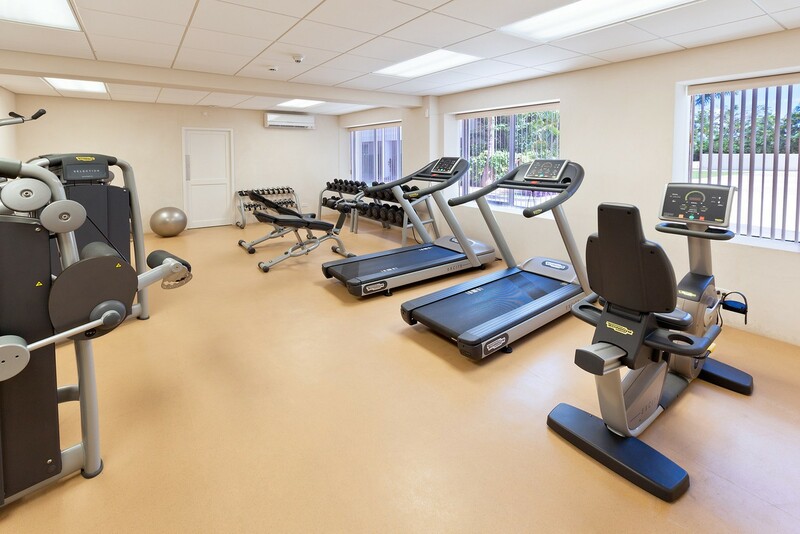 On top of this, the management that are responsible for the place are excellent. They were there to greet us upon arrival to give us pertinent information and asked if we had any questions. In addition,they called during our stay to verify that we indeed were enjoying ourselves and if there was anything that they could do. Now this is how a good management team operates. I have nothing but good things to say for the unit and the management. The villa is beautiful, well appointed, spacious and clean. The villa is of very high caliber and met our standards. The view from the terrace is spectacular. The beach was slightly disappointing but only because we are bench marking it with grace bay beach and seven mile beach. The only negative was the lack of loungers on the beach. Other than that, our trip was sheer perfection. Thank you once again and we look forward to returning. Isle Blue was very professional and courteous.